I am going to admit something perhaps a little unusual. I almost reached the age of thirty having never experienced a salon blow dry. Now, that isn’t to say I haven’t had my hair blow dried at the salon before, but I hadn’t visited a hairdressing salon purely for a blow dry. I had always had my hair cut first, with the blow dry merely a finish to the other service I was there for. For this reason, I was very unsure of what to expect when I visited the Tony Hair salon in Christchurch last Saturday for a complimentary blow dry. I was so unsure, in fact, that I actually found myself googling what a blow dry at a salon involved. I also washed and rough dried my hair just before I went in case they didn’t wash my hair before drying it. Yes. I am that person. 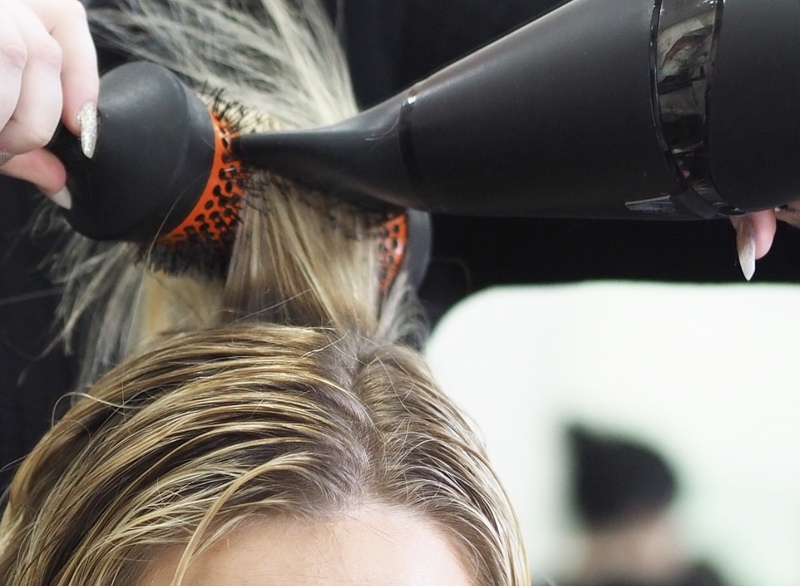 In case you are also fairly anxious about new situations and haven’t previously had a blow dry before, I thought I would put together a little guide of what to expect from a salon blow dry. Please bear in mind that I am basing this purely on my experience at the Tony Hair salon, and it may differ slightly from salon to salon. When I arrived, I was greeted by my stylist, who took my coat, led me over to the sinks and asked me what I wanted from my blow dry. I looked blankly back at her, not really knowing what to say. Luckily it seems that this is a common reaction to the question, and my stylist soon offered a variety of suggestions. I asked for curls, as I was going out later that afternoon with my mum for an afternoon tea. My stylist then passed me over to another member of the team who washed my hair, before I was led to a chair to have my blow dry. My stylist, Sophie, offered me a drink and then got to work, sectioning my hair and drying it. I don’t know the technical terms, so I have included lots of photos of the process instead, to give you an idea! After my hair was dry, it was time for the curls. Sophie swapped the hairdryer for a pair of straightening irons and got to work. I actually curl my own hair at home with GHDs, so I recognised the process and knew that the curls would look nice and defined. After Sophie had finished, she checked if I was ok for her to use products on my hair and, when I said yes, she sprayed them on and showed me the finished look with a mirror. I was really happy with the blow dry, which left my hair feeling soft and bouncy, with gorgeous curls and smelling amazing from the products Sophie had used. Visiting a salon for a blow dry isn’t something I had really thought of doing before, but I will definitely be treating myself in the future. It’s perfect for special occasions, or just taking a bit of time for you. Although I had curls, you can have a different finish, or keep it natural. It is up to you. I was provided with a complimentary blow dry at the Tony Hair salon in Christchurch with the Bournemouth Bloggers, however I was under no obligation to write this post and all words and images are my own.